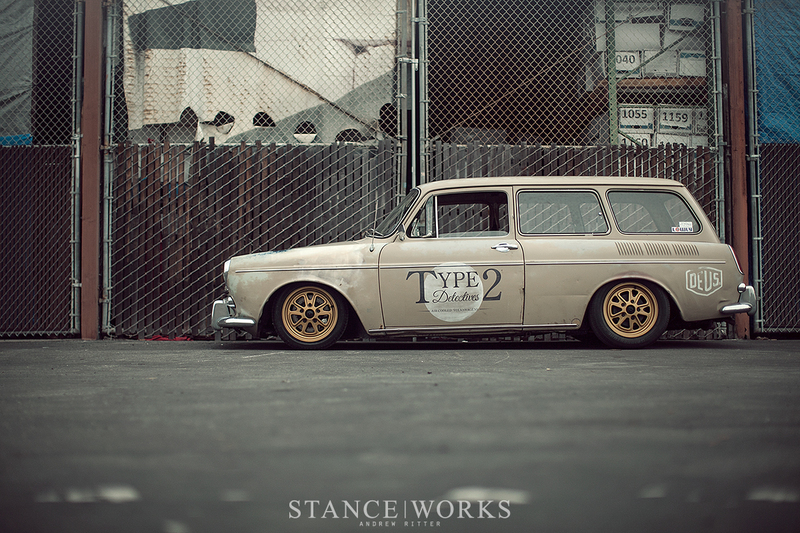 It was just an un-assuming little squareback, sitting in California waiting for a new owner to claim it. 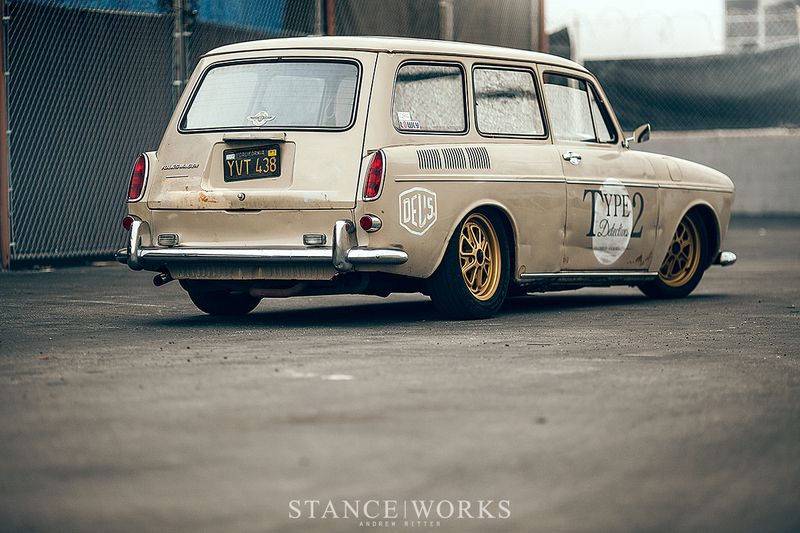 The beige wagon wore layers of paint over body panels that had seen a rough handful of decades, but its patina was endearing in a way. 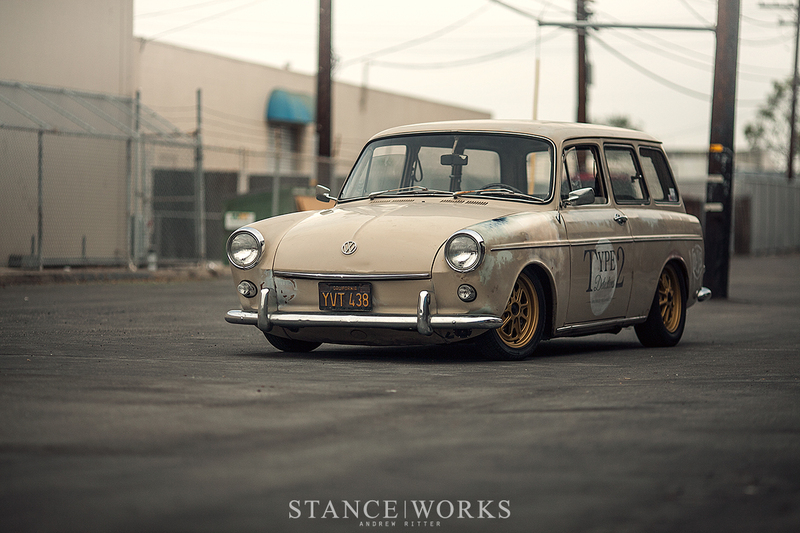 Fortunately for the old aircooled, the boys at Type 2 Detectives were back in the States and on the hunt for the perfect transportation during their stay here. 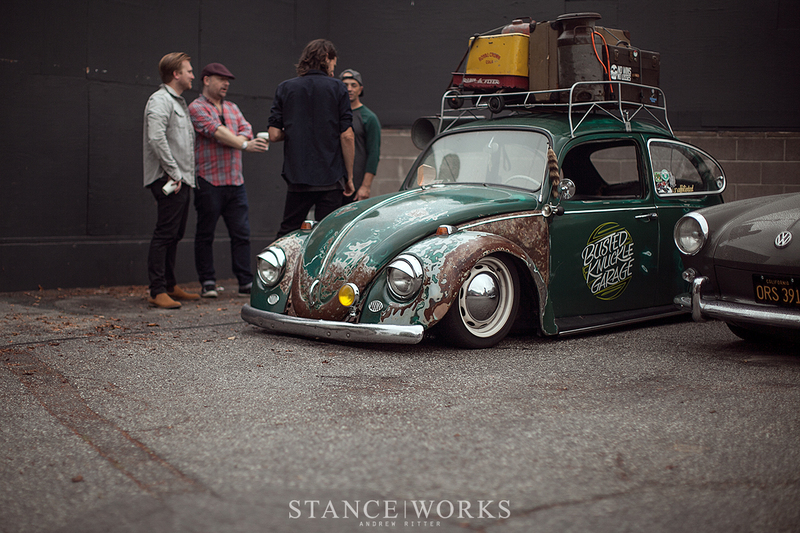 Back in 2015, Paul joined us in California and with the help of the Romance With Rust shop, was able to build up a T2D Beetle while he searched for VWs to bring back to the T2D headquarters in the UK [Click Here to Read About the Past Project] . 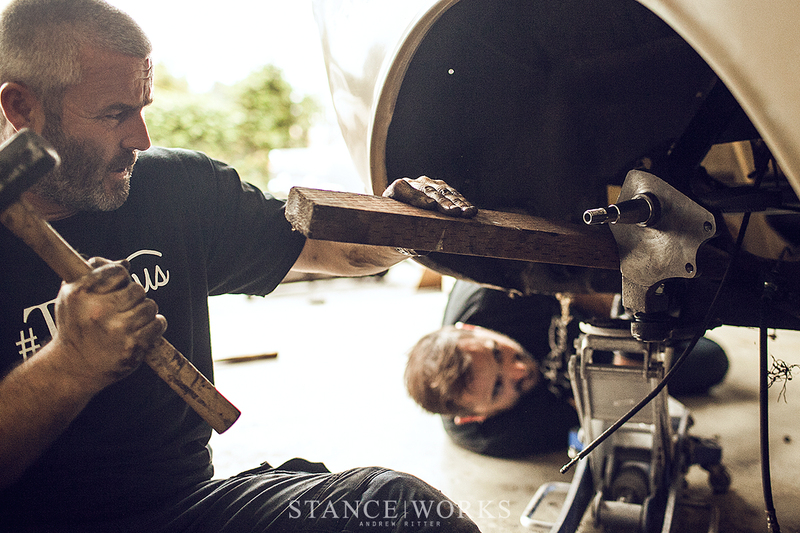 This time around, more of the Type 2 team had come along to lend a hand and before long, they were making quick work of the patinated ride. 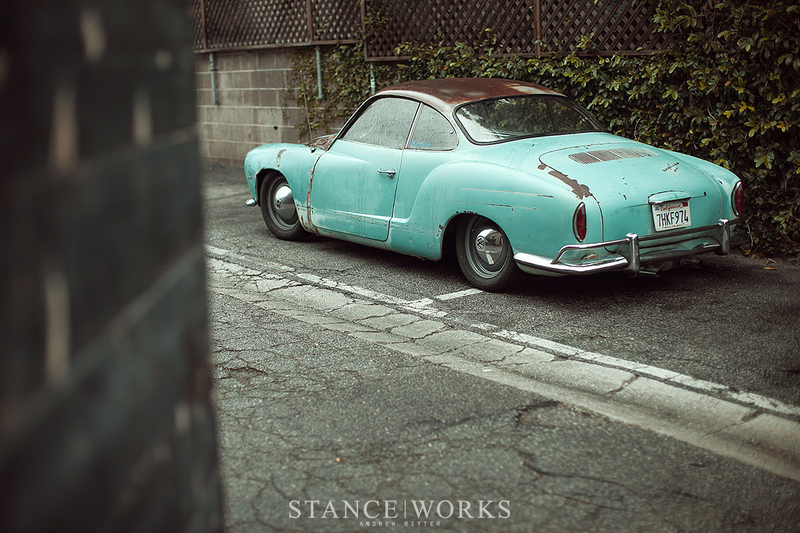 Romance With Rust is a small restoration shop in Orange, California. 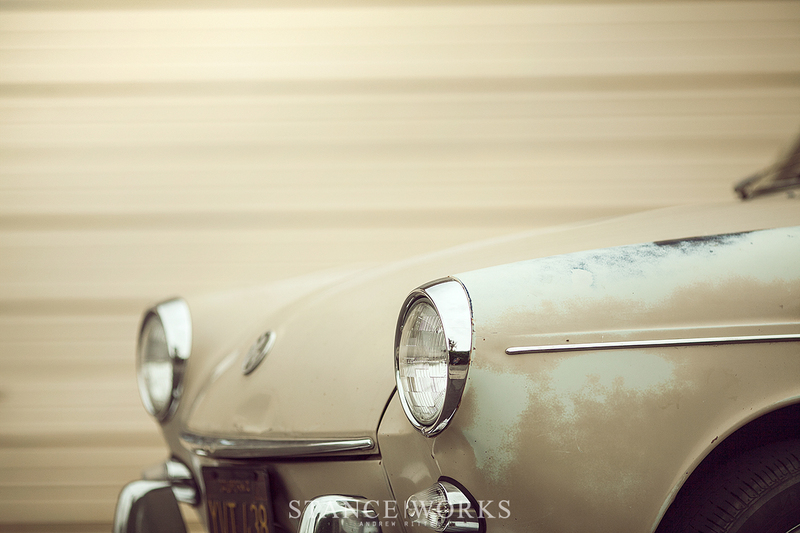 Nestled in a small row of garages, tucked away outside the main town square, the shop has been the grounds for some incredible restorations and is lined with a diverse collection of makes and models. 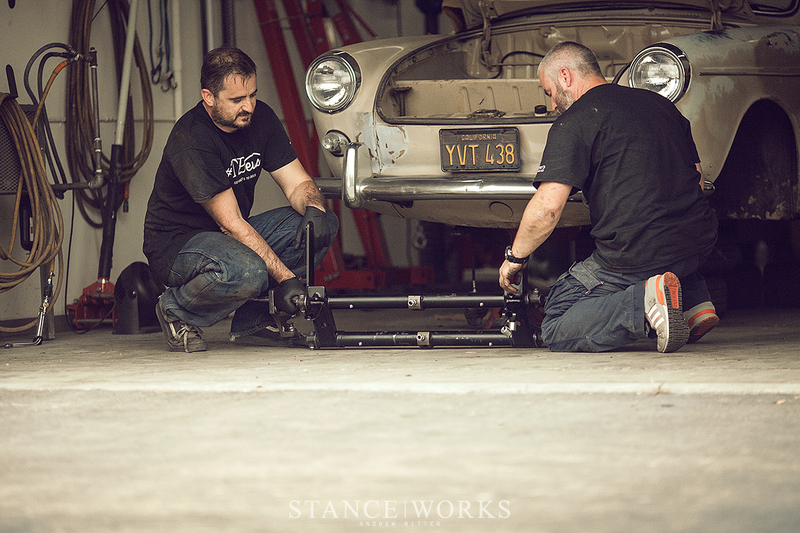 Romance With Rust's owner, Chris Ashworth, has been a long time friend of Paul's, so he has gladly invited the T2D team to utilize his shop and tools to realize their aircooled dreams while so distant from their shop back in England. 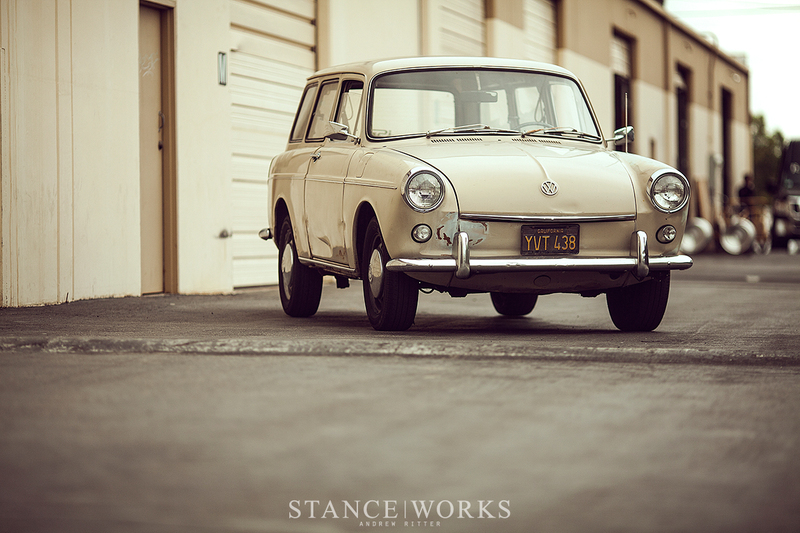 It felt like just yesterday that we had wheeled the black Volkswagen Beetle out of those shop doors, but I was glad to be back once again as the new project drove in for its transformation. 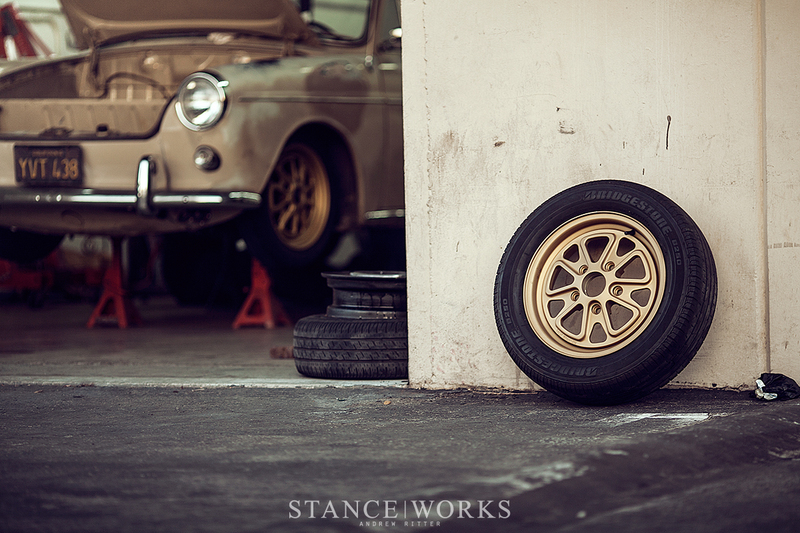 The shop rattled and clanked as the old suspension dropped to the floor, and preparations were made. With decades of experience at hand, the trio moved efficiently through a routine they had practiced time and time again. Lowering the aircooled pans closer to the ground has become second nature, so it wasn't long before the new beam was being navigated into place. 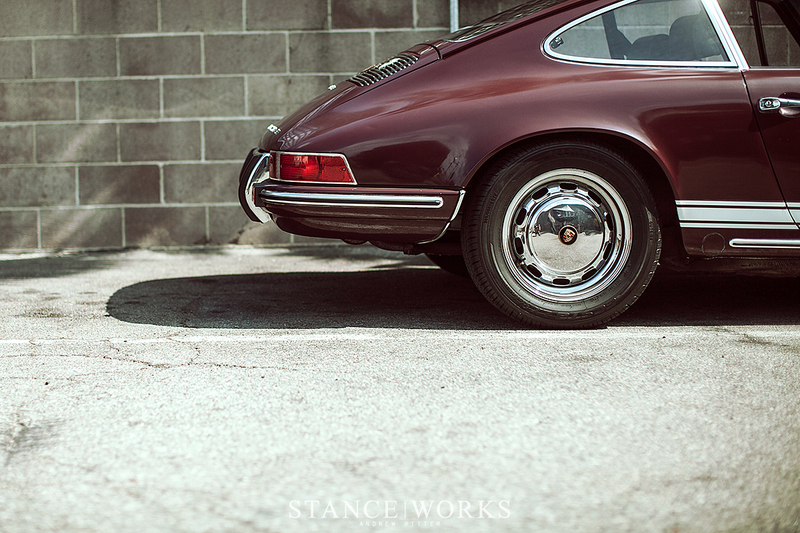 At all four corners, new disc brakes glistened and fresh suspension components replaced the tired ball joint remains. Once the spindles were in place, it came time to turn to the rollers. 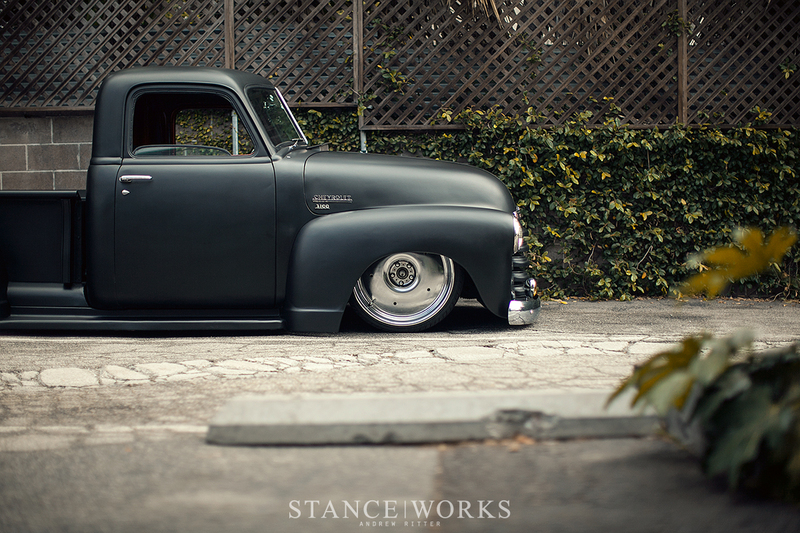 Matt Crooke of Fifteen52 drove down from their warehouse in Los Angeles to deliver a set of their Outlaws for the collaborative build. 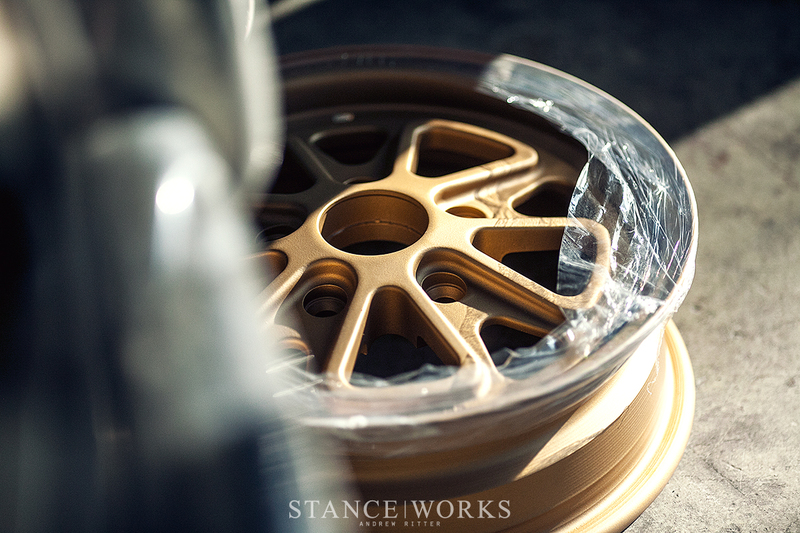 As a signature Magnus Walker wheel, the Fifteen52 Outlaw is a hollowed-out lightweight rendition of the classic Porsche Fuch wheel. 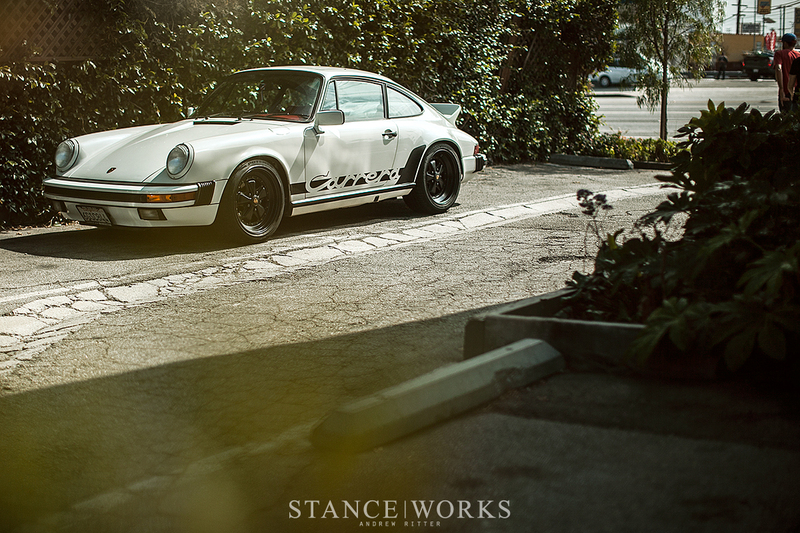 As aircooled-siblings of the old 911s, aircooled Volkswagens have long run the Fuch, and it quickly became one of the staple looks in their community. 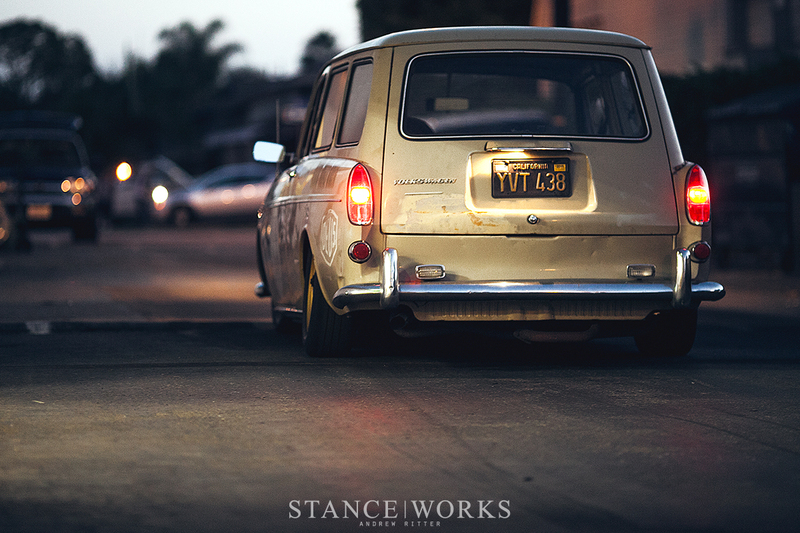 The Fifteen52s were finished in a warm gold that glowed against the faded paint of the squareback and the added flair of the Outlaw's design offered the ideal final touch to the day's project. 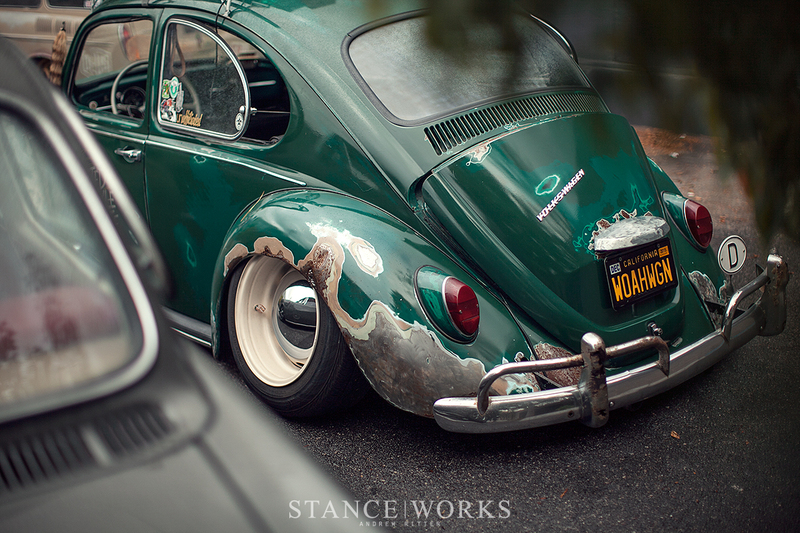 Just as quickly as the VW rolled into the shop that morning, it was rolling out into the streets of Orange that evening with a new look. 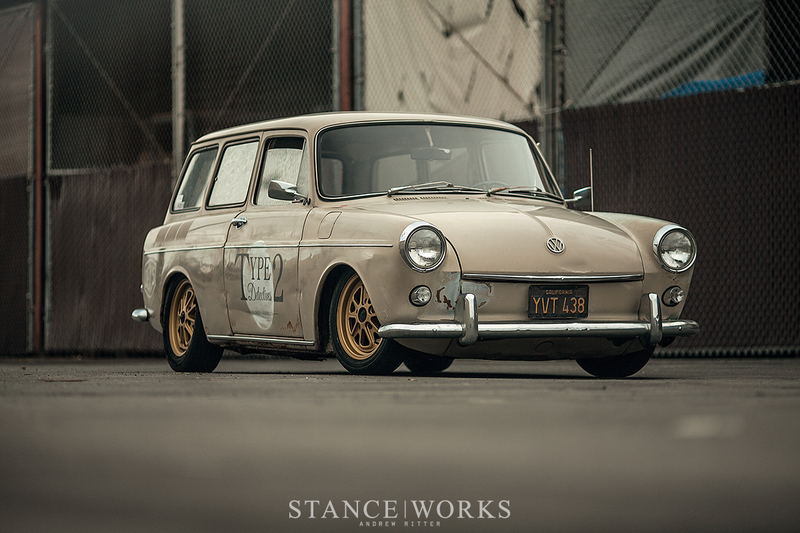 The allure to California is all about cars for the boys at Type 2 Detectives. 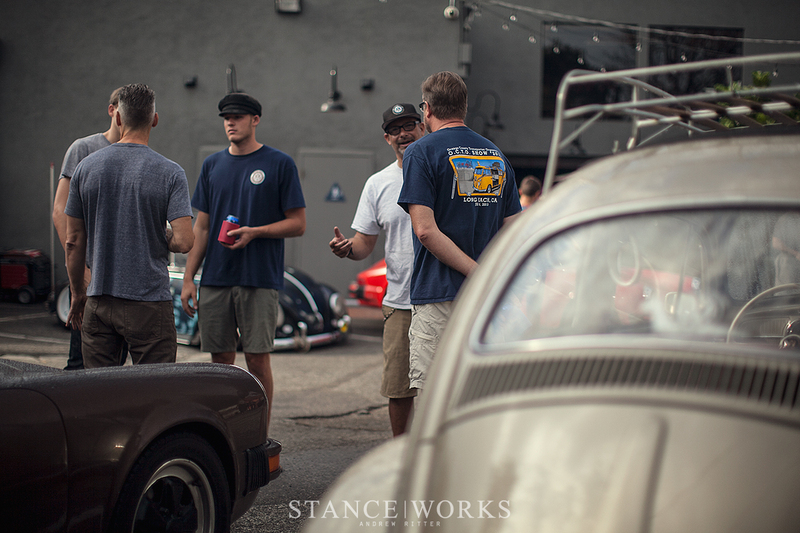 They fly over in search of quality examples of the Volkswagen Aircooled platform, bringing back a handful for their inventory and customers, but beyond that, they come to experience the unique car culture that California has to offer. With the perfect California cruiser vehicle now built, they took to the streets, stopping in at the shops that had fascinated them from afar, and catching up with old friends. While they were in town, we thought it'd be great to host a special breakfast for our British friends, so we teamed up with Deus Ex Machina for a small morning gathering at their Venice headquarters. 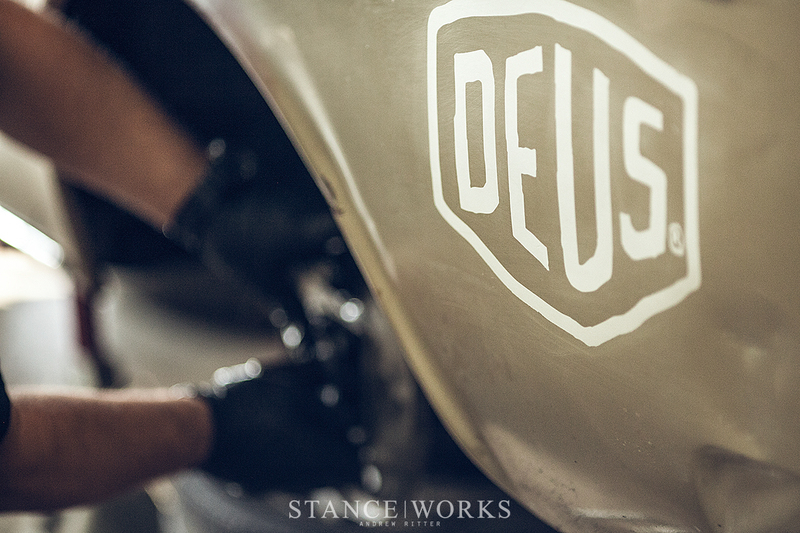 From the art to the motorcycle builds, the Deus Ex Machina is a fuel-inspired coffee shop that made for the perfect venue as friends gathered around the aircooled machines that were in attendance. 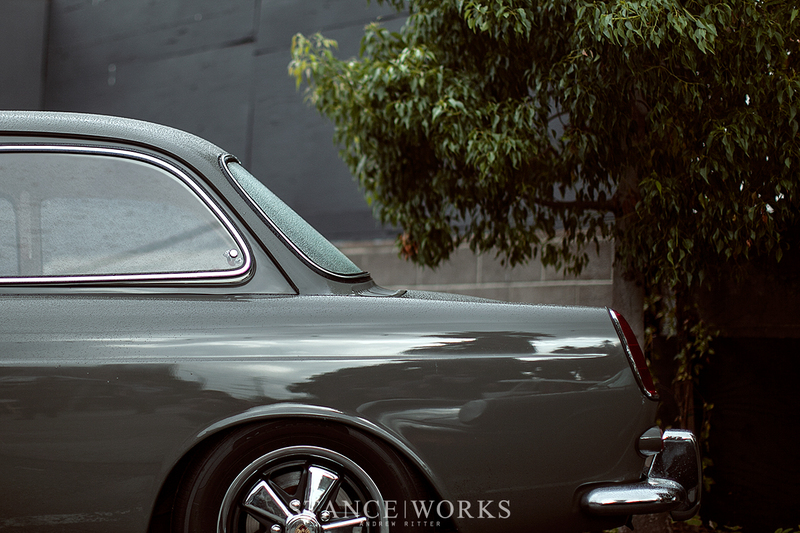 When the T2D guys travel over, it's a great excuse for us to take time to turn to the builds and events that have played an important role in our love for cars. 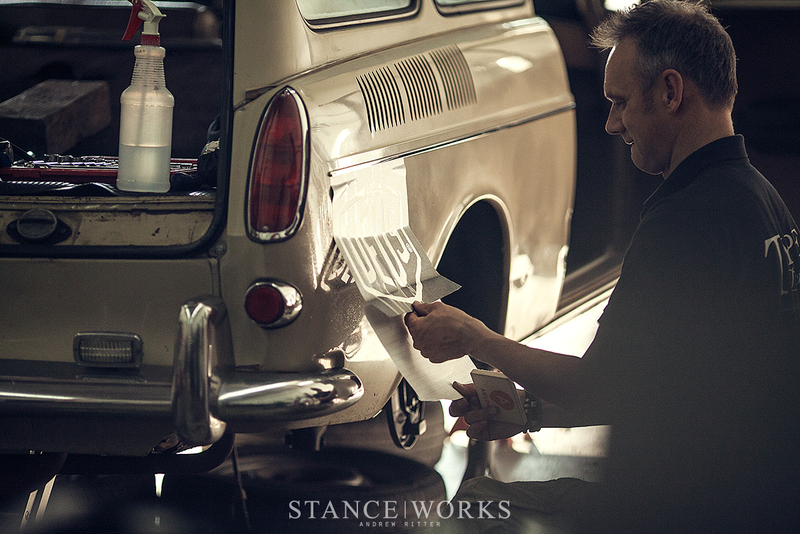 As we look back on their last road trip, we're looking forward to getting back to warm summer days spent tinkering away in the garage. 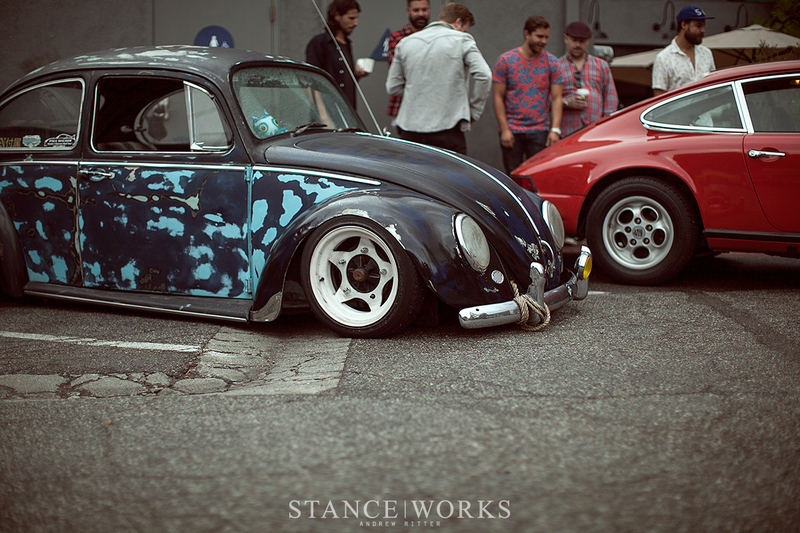 I like it but then I like old VW’s so that was bound to happen. Thanks for sharing!